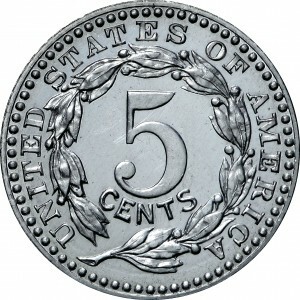 This is an outstanding example of the experimental pattern coinage struck in aluminum. 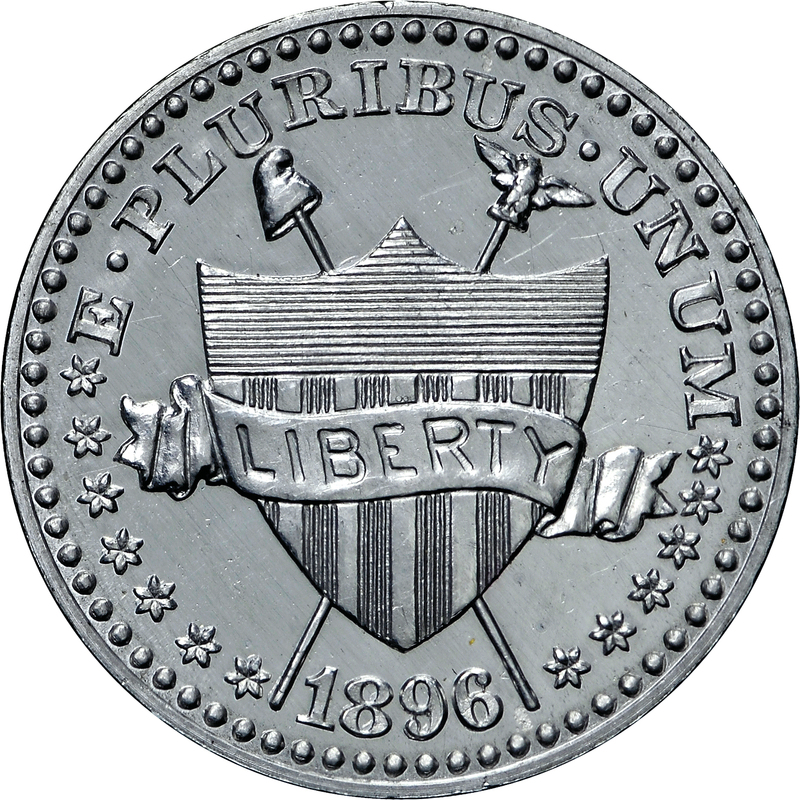 Apparently, some or all aluminum examples were struck in February, 1897, with members of the annual assay commission looking on. Reportedly, this metal was too soft to be useful for coinage. Four different compositions included aluminum alloyed with iron, silicon, copper, and manganese. Purchased from Lee F. Hewitt on April 17, 1972. 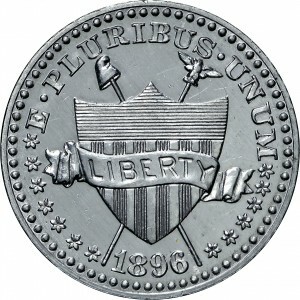 United States shield with banner across inscribed LIBERTY, two crossed poles behind surmounted by pileus on left and spread eagle on right. 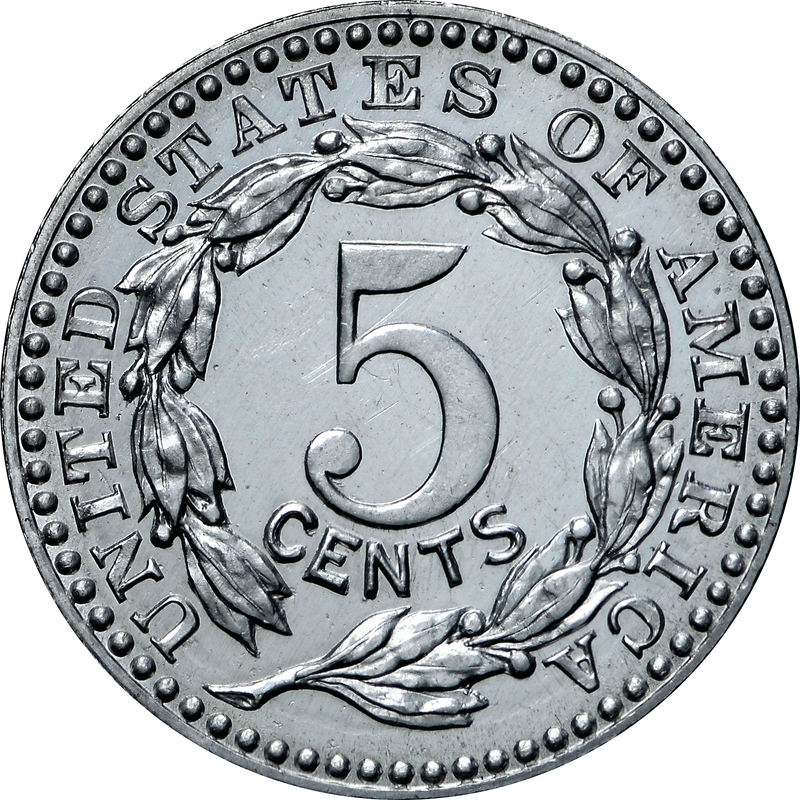 5 CENTS in olive wreath surrounded by UNITED STATES OF AMERICA.